Out of the Pokémon episodes that I have seen, I do not remember ever seeing an animal that wasn't a Pokémon. I have also not heard of animals being present in Pokémon. Which lead me to wonder: Are there ever any animals that aren't Pokémon present in any episode or Pokémon manga? Real-world animals have been mentioned a number of times to exist in the world of Pokémon. Most often, they are mentioned in relation to a Pokémon category. For example, Pikachu is known as the "Mouse Pokémon" and was directly referred to in the anime as an "electric mouse", hinting that real-world mice exist in the Pokémon world. Other than this, all other mentions of animals are rare. Which clearly shows a dog. However, this is the only image I could find of an animal that isn't a Pokémon. There's a pretty comprehensive list of animal occurences in pokemon on Bulbapedia here. In "Ash Catches a Pokémon" Pidgeotto is seen eating a regular worm before being captured by Ash. In "Battle Aboard the St. Anne" a cooked lobster can be seen as food served on the ship. Several examples exist in early episodes. 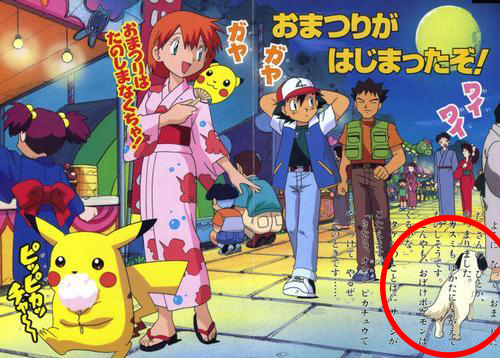 Shortly before Ash catches Pidgeotto, it eats a worm, possibly the smallest non-Pokémon animal the anime ever showed. References to such species lasted longer than their appearances. 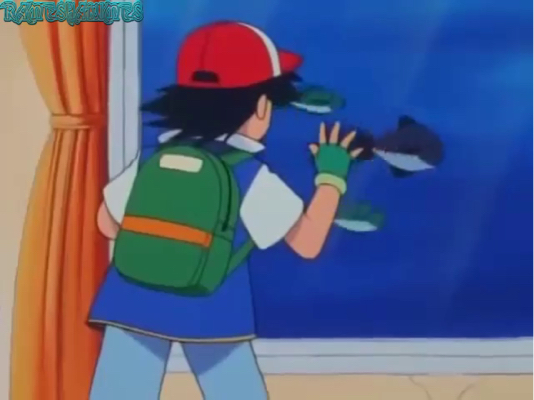 In a much later episode, Ash mentions catfish.